The vaccine controversy reveals some of our darkest shadows and deepest fears. When we face limits of human knowledge as experienced with the complexity of modern medicine, we often fall back on the power of belief. When we battle over beliefs, we create monster storms that cannot be tamed. The tightening vaccine laws are brewing a perfect storm of fear and mistrust surrounding our beliefs in modern medicine. And it’s developing over oceans of apathy. SB 277: Generally, people aren’t paying attention as California lawmakers are pushing through SB 277, a critical blow to our tenuous relationship with the medical establishment. In a whirlwind race to approval, this bill aims to stop any parent or doctor from influencing their child’s vaccination schedule – ever. We will no longer see and treat each child as a unique body of immunity and vulnerability. The CDC will determine a one-size-fits-all list of vaccines and schedules for everyone as a prerequisite for public or private school without regard to individual health. In this era of consumer awareness, genomics, and precision medicine, this move is a giant step backward. What happened? The bill was introduced shortly after the media concocted fantastical visions of deadly measles epidemics driven by bubbleheaded anti-vaxx moms terrified by autism. It demonstrates how policymakers succumb to sensationalism because they do not understand the immune system. And neither does anyone else. Blind faith: On my first day of graduate school in public health, I met a PhD student and exchanged summaries of our work. Things were going fine until I told her I was also studying vaccine safety and hoping to guide policy with better research. She stiffly retorted “I trust the CDC” and walked away. I later discovered that university health professors know next to nothing about the immune system or flaws in policymaking while they paint a glorious picture of the history of medicine. Students dutifully follow the system without inspecting our principles. The research profession is supported through published papers that do not rock the boat. And the cycle continues. Myths of medicine: In fact, vaccines are not the innocent cure-all they seem. Dr. Suzanne Humphries book Dissolving Illusions: Disease, Vaccines, and The Forgotten History reveals everything about vaccines that wasn’t taught in my epidemiology courses. Just as the massacres of American Indians were missing from my history textbooks, the shortcomings of vaccines are omitted from medical school. No education: What nurse would encourage us to check vaccine ingredients prior to injection? We pay more attention to what’s in the cereal box. Perhaps we might wonder what happens to the live virus, formaldehyde, aluminum, or egg protein in our tissues. Perhaps there would be more scrutiny about our favorite medical weapon. An updated list of vaccine ingredients is provided on the CDC website, though it does not indicate which vaccines contain live attenuated viral vaccines. No vaccine is created equal: We cannot generalize about the hazards of vaccines just as we cannot generalize about their benefits. Every vaccine is unique in effectiveness and immune impact. In the case of the rising rates of pertussis, we continue to increase doses of the Tdap vaccine though it does not provide immunity to all strains of the bacteria. Yet SB 277 is one giant generalization. Under this bill, all current and future vaccines are considered equally effective and mandatory until proven guilty – a monumental task in the current research publishing climate. No child’s immune system is created equal: The life-saving benefits of vaccines may outweigh the risks in some children more than others. Some children may accumulate vaccine toxins in the brain and body, overcoming the benefits of immunity. 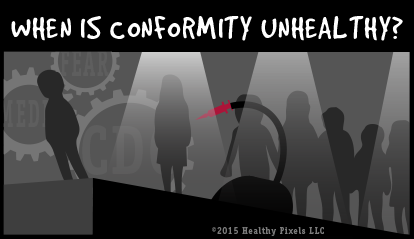 SB 277 forces us to modulate immune systems without considering these trade offs. We are capable of more discriminate methods in medicine. Repeating history: California’s flammability law, TB 117, has exposed us to toxic flame retardants in the name of population protection for 40 years. Another lasting effect of cigarettes. In 2014 California eased up on its flammability requirements, but this does not stop manufacturers from using flame retardants in fabrics or furniture. Like TB 117, once SB 277 is in place it will be nearly impossible to change. While consumers may seek out non-toxic clothes and furniture, there will be no options for changing a child’s vaccination schedule. We must have better science in place before any substance is mandated in this manner. No checks and balances: Certain vaccines are extremely powerful tools used to fight disease and even cancer. But we are far from masters of these weapons. According to market research, vaccines were recalled more often than any other type of drug during the study period. Furthermore, drug companies are exempted from any liability for injuries from government-recommended vaccines through the PREP Act. SB 277 forces us to embrace vaccines lock, stock, and barrel without any stipulations that increase vaccine safety and promote health research. The price of apathy: The majority of people do not have a child needing vaccinations. Most parents with children aren’t aware of any risks posed by vaccines, and are not being forced to vaccinate themselves. People are not educated about vaccines and rely on journalists with no research experience or health education. More importantly, people do not want to think about how vaccines or the immune system works. But when we do not exercise our right to knowledge, we give up our freedom. SB 277 decrees that our government knows us best. Yet the CDC is a tangle of sluggish bureaucracy, scandals, and conflicts of interest. We are setting precedents for policies that erode health privacy and freedom. We are paving the way for future stigmatization, forced injections, and consumption of substances that claim to protect populations, not individuals. To voice an opinion on SB 277, visit the California Coalition for Vaccine Choice. Thank you.